People in Machinga are still of no clue as to where an albino person was abducted to after he was last seen at a bar in the district. Today, Wednesday 14th February marks the sixth day since Mark Masambaku went missing on Tuesday last week at Mbawa Trading which is close to Malawi’ border with neighboring Mozambique. Police and community members launched an investigation following the incident but the efforts haven’t yet yielded fruits up to today. 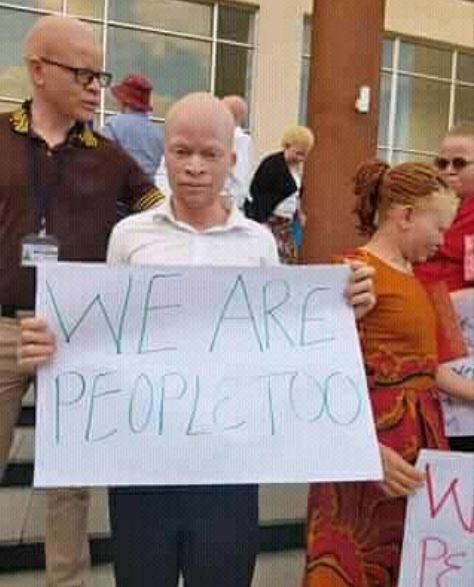 Talking to press following the abduction, President of Association of Persons with Albinism (APAM) Overstone Kondowe, said the victim and his friend left to buy a mat at the said Trading Centre and were last seen at a certain bar in the area. “That was the last time that community members saw him and later his steps could not be traced. The owner of the bar was later noted on Saturday morning with injuries on his body which raised people’s eyebrows. Members of the community thought that the injuries were sustained at the time the bar owner was attacking Masambuka, explained Kondowe. Following that, police arrested the owner of the bar while the unidentified friend who was with Masambuka is still at large. Meanwhile, an investigation is ongoing in efforts to find the victim and also to bring the suspects to book.